‘Too Many Elephants In This House’ by Ursula Dubosarsky and Andrew Joyner is a terrific book. Here are some fantastic learning activities to do based on this book! 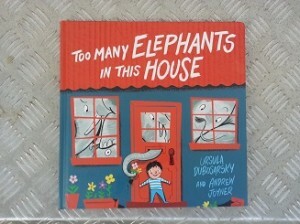 Read and enjoy the book ‘Too Many Elephants In This House’ by Ursula Dubosarsky and Andrew Joyner. Once you have read the book (maybe a couple of times) you may want to ask the following ‘after reading’ comprehension questions. 1. What was the title of this story? 2. What was the boy’s name? 3. What was there too many of? 4. Name one spot where you would find an elephant in Eric’s house? 5. Who said that the elephants had to go? 6. What did Eric build for the elephants? 7. How do you think Eric felt when he was told the elephants had to go? 8. How would you feel if you had to give away something you loved? If your child gets stuck answering a question, let them flick through the book or you might reread the section relevant to the question. 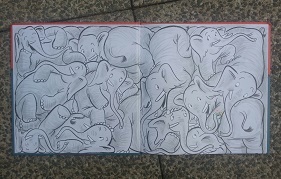 There are so many elephants in this book! How many are there? You might start with how many elephants are on the cover. Then count all of the elephants on the page with the pretty flowers. 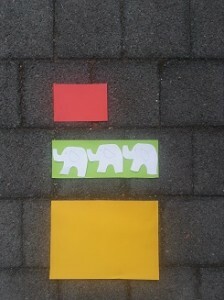 If your child is capable, count all of the elephants in the book! Changing parts of the story (which teachers call ‘text innovation’) is a fun way to develop story telling/writing skills. Tell your child to change the elephant to something else. Explain that it should be something a little bit ridiculous like a whale or hippopotamus. Then retell the story with the chosen animal/thing. Your child can then change other parts of the story like ‘I could take the whales back to the ocean.’ Tell this story or create a book. Then have a range of different sized sheets of card available. Choose one piece of card. Ask your child ‘How many elephants do you think will fit in this room?’ Then see how many you can comfortably fit. Using spare boxes, card and paper design and create an elephant house. Your child may think about things like how will the elephants get into the house and where will they sleep.